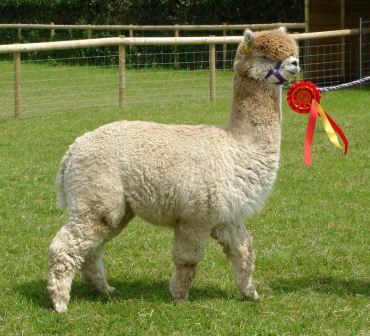 Here at Cherwell Leys we are aiming high for the future, to get the best for our girls to work towards improving their offspring for fleece qualities, fineness, density, uniform crimp, lustre and staple length. In order to achieve this we knew we had to search out the best genetics for our foundation herd but to complement them we needed top quality stud males. 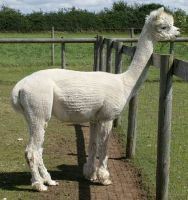 We now have a range of males from White through fawn to Black all with exciting pedigrees for you to choose from. Discounts available for multiple services. So that you can have the opportunity to add these prize winning genetics to your improving herd, we have made Farleigh available for a selected number of matings this year. Wellground FARLEIGH a proven stud male producing impeccable offspring. 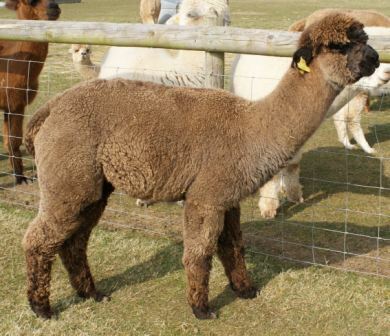 Wellground Romeo had his first cria on the ground in 2007, his offspring show great promise, all are well fleeced with plenty of fine crimp and soft handle. 2008 sees new Stud Male introduction Cherwell Leys Othello, with excellent pedigree Sire EP Cambridge (Atlantic) Orphan and Grand Sire EP Cambridge (Atlantic) Salta, Othello's offspring should result in something special, as you can see in his photograph he is a strong blue/black colouring, we are eagerly awaiting his offspring. 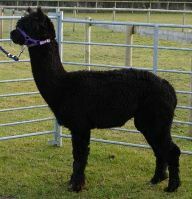 2009 Now Available for a limited number of matings EP Cambridge REGENCY imported from Australia Regency has been working at Cherwell Leys throughout the 2008 season and now has progeny here to view at Cherwell Leys. 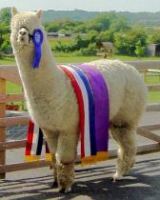 These three males have all been successful at recent shows, CWL Charnwood Phoenix placed 2nd Adult White Male, CWL The Shaman placed 4th both at the Romsey Show 2011 and CWL Tangaroa gaining Supreme Champion Fleece at Heart of England Show 2011. 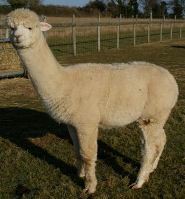 These three males will be retained as in house only studs with releases of their genetics available through the purchase of pregnant female alpacas please see our sales page.